At one point or another, we have all Googled, “How To Succeed In Direct Sales”. That is our ultimate goal, right? Whatever personal goals you have for your direct sales business, the simple fact is that all of us are looking for ways to grow our audience, expand our customer base, and find success in our direct sales business! Aside from the direct sales success of Facebook parties, vendor events, and growing your social media presence, there are many networking opportunities out there. I’ve listed 5 ways below to grow your network and achieve direct sales success! Directories are fantastic ways to get your business out there in your local community and nationally as well. I suggest joining both local and national directories to get the most exposure. Utilize them as best you can! For example, I am a part of Sassy Direct, a fantastic full-service directory open to any direct seller looking to advertise locally and take advantage of the increased exposure. I also take full advantage of the micro-blogging platform so I have a place to blog about my direct sales products. This, along with my blog, has allowed me to bring in revenue not only from my blog but my direct sales business as well. Need specific help with Sassy Direct? Check out this post by clicking HERE. You may have heard me say before, that Pinterest is a powerful tool for direct sellers. Not convinced? After implementing all of the tools and training from this course, not only has my blog grown to over 30,000 page views a month, I also make sales directly from Pinterest as well! A part of the training speaks about the incredible leverage a direct seller can get from Pinterest Group Boards. Group boards on Pinterest are made up of a group of collaborators, follower count is high, and it helps to increase exposure to your own original pins on Pinterest! If you’d love to get your feet wet when it comes to Pinterest Group Boards, just follow these steps and start pinning! 2. Email me your Pinterest account handle or email to be added as a collaborator to the All Direct Sales Products Group Board! Facebook groups are perfect ways to grow communities and get to know your customers on a more personal level. Using Facebook groups allows you to provide added value to your customers and in turn, your community will be more engaging and think of you as their favorite consultant! For direct sellers, it helps to be interactive within Facebook Groups with others in the direct sales community. You learn from each other and they are great places to find fellow consultants to do online parties with or vendor events in your community! The Socialite Suite is my go-to Facebook Group. The immense support and helpful conversations have changed my direct sales business from the inside out. The friendships I formed with other direct sales consultants has opened up doors for me in regards to my business and I love the opportunity to help someone else on their journey as well! Together we all can succeed in direct sales! Mastermind Groups are really unique! Think of them as mini think-tanks. 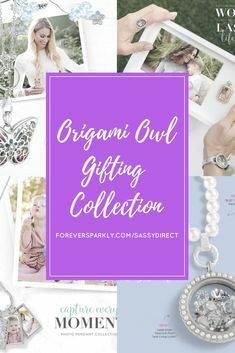 I had the opportunity to speak with a fellow Origami Owl consultant about Mastermind Groups! “A random item in my Facebook newsfeed talked about an upcoming mastermind luncheon. At first glance, it seemed like just another networking group, and I was already in several of those. But anxious to grow my business, I opted to sign up and see if this one was different. After just one meeting, I joined Women’s Prosperity Network (WPN). It started in South Florida but has grown, now with chapters nationally and even one in Jamaica. I quickly learned the mastermind goes deeper than business-card networking. You interact and brainstorm with the people at your table (and you should sit with different people each meeting), getting specific about the real things you need now — the actual goals or pieces you need to make your vision happen and to grow your business. This can change month to month. And you wouldn’t say, “I need customers.” We all do. You dig deeper. Masterminds tap into the collective brainpower of the group. My mastermind group also goes beyond the monthly meetings. Members have access to two free phone calls each Wednesday that feature speakers on topics that target specific aspects of business like social media marketing strategies, joint venture partnerships and exploring platforms for mass distribution of e-courses. But some of the calls enlighten on a different level, with speakers sharing their stories and paths to success. The group hosts conferences and more targeted training like mastering public speaking. But even if you just attend the monthly masterminds, you will leave invigorated, enlightened and with ideas — if not customers. The main principle behind WPN is to be “the one” for someone else. So, after the table divides into groups of 4 or 5 and you mastermind — verbalizing specifically to the universe what you need now for your business — that list gets compiled for the entire WPN membership. One of the obstacles many direct sellers run into is they begin to only interact and serve others in the direct sales community. 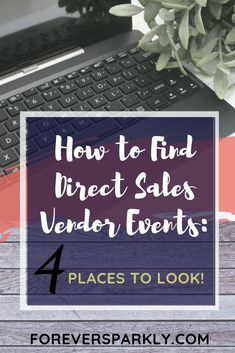 How to Find Direct Sales Vendor Events: 4 Places to Look! One key to finding success in direct sales is to break out of that circle and reach those who have never heard of your product or company. A great way to do this is by being active in a local community meetup or Facebook group. In my case, I belong to a wonderful group by the name of, Mommies Hiring Mommies. The group is centered around women in the area and provides a space to empower one another and learn from one another as many of us navigate the world of owning our own businesses. What networking groups and communities do you belong to? Help others succeed in direct sales and comment below with your favorite places to network! Read how I succeed in direct sales WITHOUT Facebook parties!